New Delhi, Jun 18 : In a bid to improve telecom services in the northeastern states, the government will invest Rs 5,000 crore to set up over 8,000 mobile towers in the region. Minister of Communications and Information Technology Ravi Shankar Prasad said improving telecom connectivity in the north east is one of the top priorities of the government. "In the north east, telecom infrastructure will be strengthened. The government will set up over 8,000 towers at a cost of Rs 5,000 crore," Prasad told reporters here. He said the Telecom Commission had cleared the proposal a few days ago. The Telecom Regulatory Authority of India had last year recommended an investment plan to improve services in north east India. 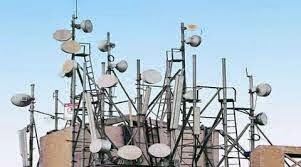 The TRAI recommended a 2 per cent discount on annual licence fees for telecom operators that cover at least 80 per cent of habitations with a population of 250 and subsidies for installation of solar power units at telecom towers. The regulator also recommended investments to provide seamless connectivity across national highways in the north east region covering Arunachal Pradesh, Assam, Manipur, Meghalaya, Mizoram, Nagaland, Sikkim and Tripura. State-run companies BSNL and Power Grid Corporation of India recently signed an agreement to improve telecom connectivity in the region. Prasad said improving telecom facilities in Naxal-affected areas is also among the government's priorities. "Providing telecom and Internet connectivity to the north east and Naxal-affected areas will be high on our priority," Prasad said in a message on Twitter's website. The Telecom Commission has approved the long-pending project of installing mobile towers in nine Naxal-hit states, for which BSNL had submitted an estimate of Rs 3,241 crore, which was higher than Rs 3,046 crore approved by the Cabinet. The project will be placed before the Cabinet for final approval. That's the location wherever the USA day Fitting loan product or service will turn out the foremost effective feeling. Whenever you establish to be season with the USA day Fitting loan product or service, we'll presumably set your own check routine to match together with your pay title loans day advance. If you are paid out every some weeks with weekday, we have a tendency to tend to tend to is probably going to turn out your payments attributable concerning a similar weekday.